Huckbody Environmental provided the Environmental Manager to the Client, National Grid for the Milford Haven Gas Pipelines Project, from 2006 to 2008. The role involved site based supervision of all Contractors for 220km of 48 inch/1220mm gas pipeline; document approvals; Government Agency, National Park & NGO liaison; HSE site inspections and audits; contract compliance/assurance to ISO 14001. 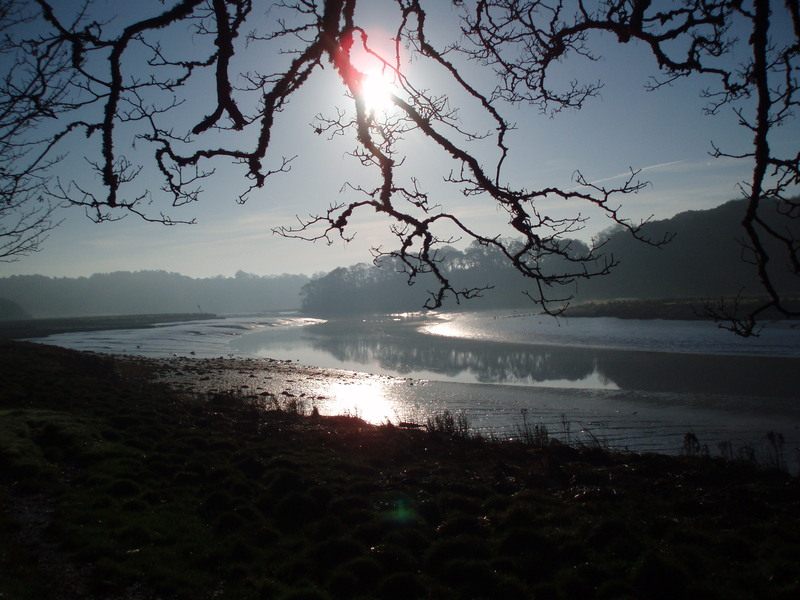 Pre-construction surveys through to reinstatement ranging from coastal inter-tidal areas, estuaries to mountainous landscapes in the Brecon Beacons National Park and including several legally protected sites and species. 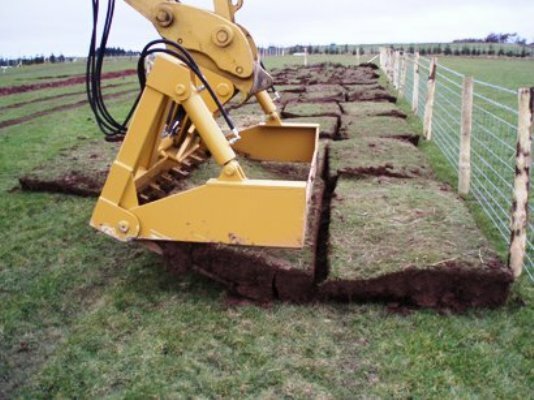 Waste and water management; topsoil, specialist turfing, sensitive site and European protected species management and licensing; oil spills; fuel storage; river crossings; micro-tunneling; HDD, trenchless crossings; reinstatement specialist; permanent/temporary erosion control. Andy managed a large team of specialists and was the key interface with the National Park Authority, Countryside Council for Wales and the Environment Agency; particularly following pollution incidents. Until now the UK has been self-sufficient in gas, thanks largely to abundant supplies from gas fields, predominantly in the North Sea. Unfortunately this situation will not continue. At the moment, the UK has more than 21 million gas customers and this number is rising daily. The reality is that the offshore fields are decreasing in output and demand for gas from homes and businesses is growing at such a rate, that analysis shows that the UK will become increasingly dependent upon imported gas over the coming years. Two new terminals to import Liquefied Natural Gas (LNG) are being built at Herbrandston and Waterston, both of which are near to Milford Haven. The terminals are being developed by South Hook LNG and Dragon LNG. The LNG will arrive by ocean-going tanker, be transferred ashore into LNG storage tanks and then converted back into gaseous form, for onward transportation through the National Gas Transmission System. Although the terminal developers are independent from National Grid, under the terms of our operating licence we have a duty to connect them to our National Gas Transmission System, to ensure that the gas they export is safely and economically delivered to where it is most needed by users throughout the UK. To connect the new terminals, and to reinforce the existing National Gas Transmission System, we have built two new pipelines which are now complete. 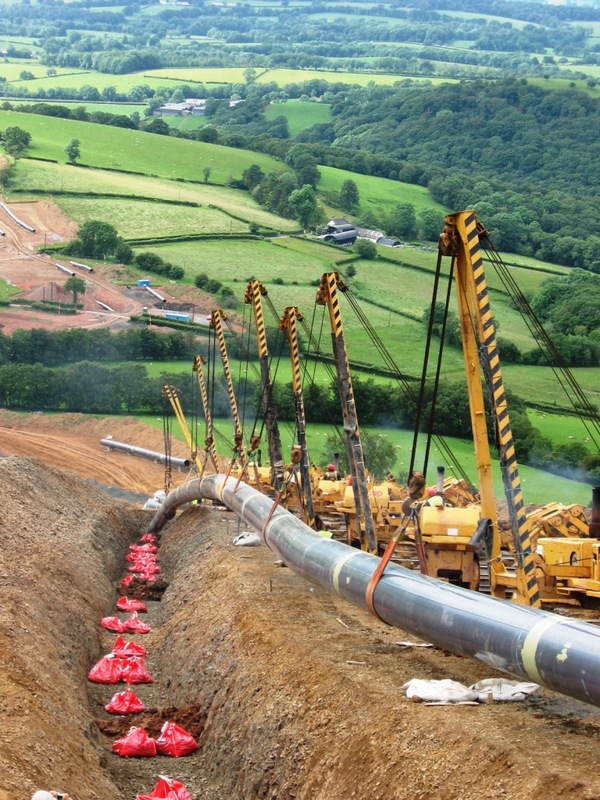 The pipelines, which run from Milford Haven to Aberdulais, near Neath, and from Felindre, near Swansea to Tirley in Gloucestershire, are 1220mm in diameter and 316km in total length.